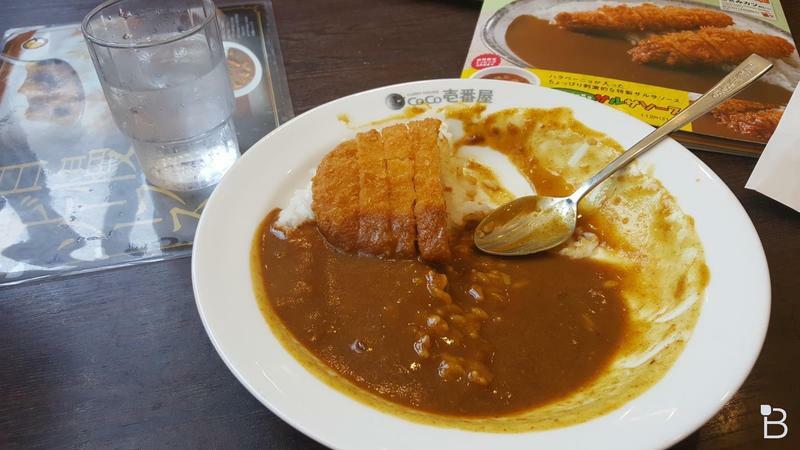 There is no food in the world like Japanese curry. Imagine taking a huge slab of meat and crushing it down into a spicy drink that is just overloaded with salty flavor. The toppings are endless, it goes perfectly with rice, and it really makes you feel wonderful on both a cold, rainy day and smack in the middle of summer when all you want to do is sweat even more. Oh, and it’s also totally “nerd” fuel. 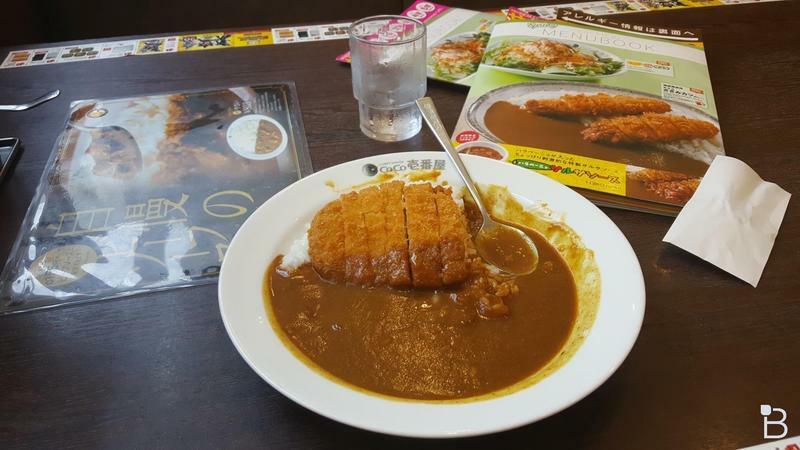 In Japan, curry is one of several popular dishes that are referred to as a “single man’s meal” because of how easy it is to make. You drop the packet in a boiling pot of water, heat it up, pour it over rice, and you eat it. It’s easier to make than toast! Granted, this is coming from a place where gender roles haven’t exactly been redefined as they have been in America, but you get the idea. I also refer to it as nerd fuel because one of Japan’s most popular indie studios does as well. 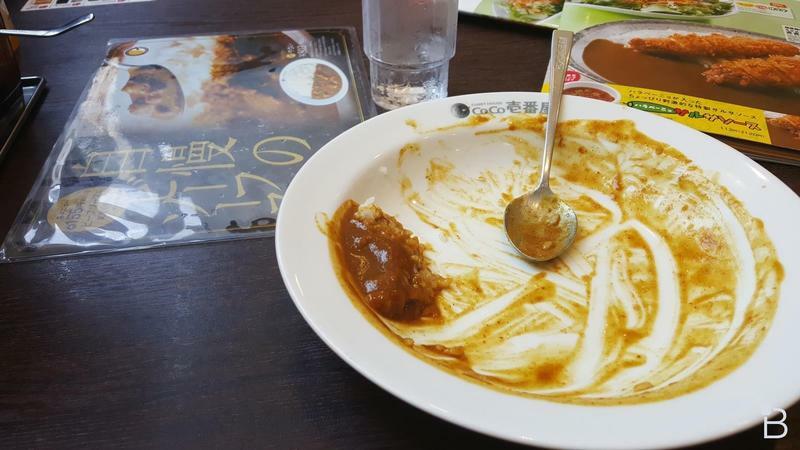 Nigoro, the marvelous team behind LA-MULANA and its upcoming Kickstarter-backed sequel, state that curry is the only food that keeps them going through long hours of crunching and coding. They claim it powers their brains and flows through their veins to help better ideas flow. 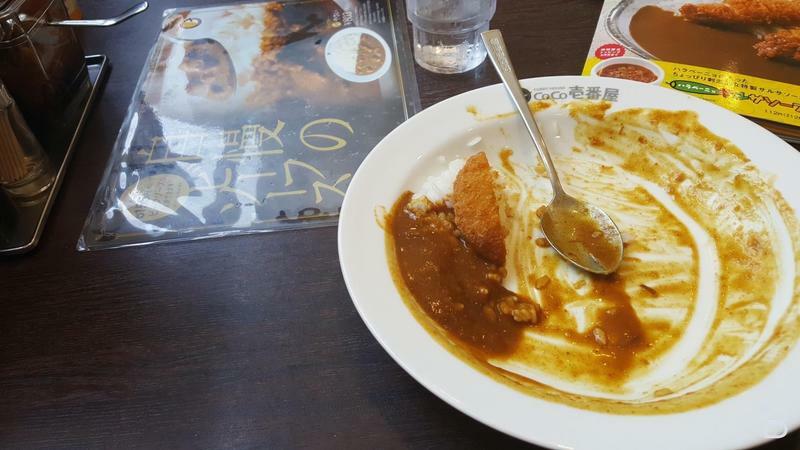 In fact, they even threw a curry party as a celebration when the Kickstarter wrapped up three years ago. Hopefully, they are eating healthier food these days, because I think all that sodium might be slowing them down. 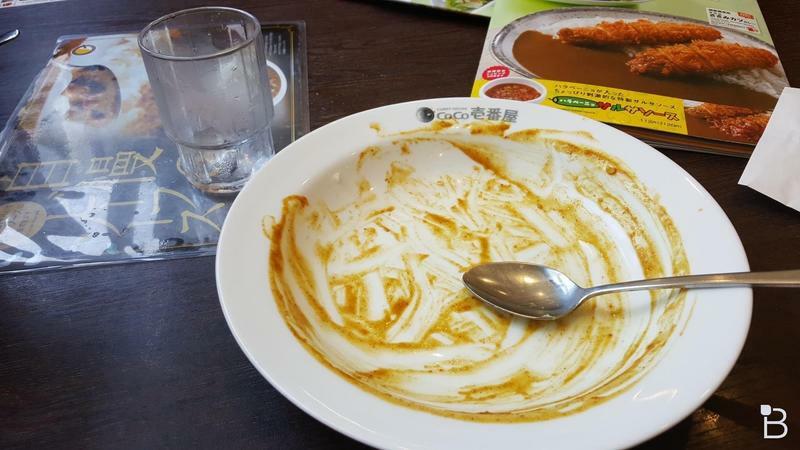 If you walk through the streets of Japan, chances are you’ll find plenty of mama & papa shops that will sell you a steaming, wonderful plate of curry. The best places are always the smaller, unknown joints, and the saying goes that the more they advertise, the worse their curry is. 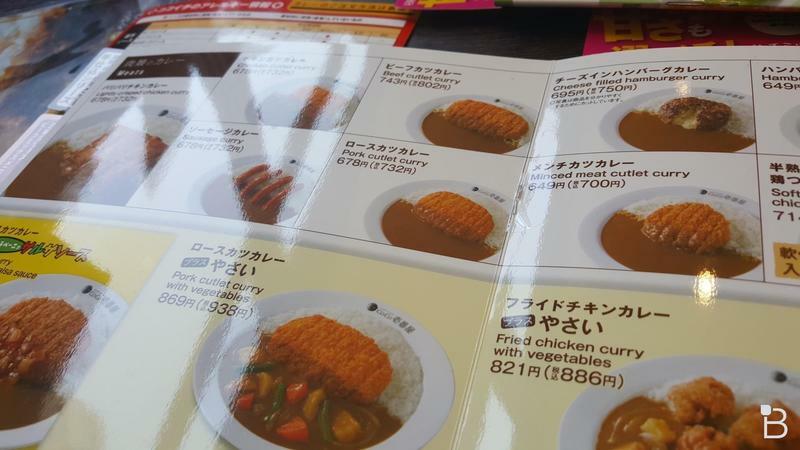 The reputation of the curry alone should be enough to bring in customers. 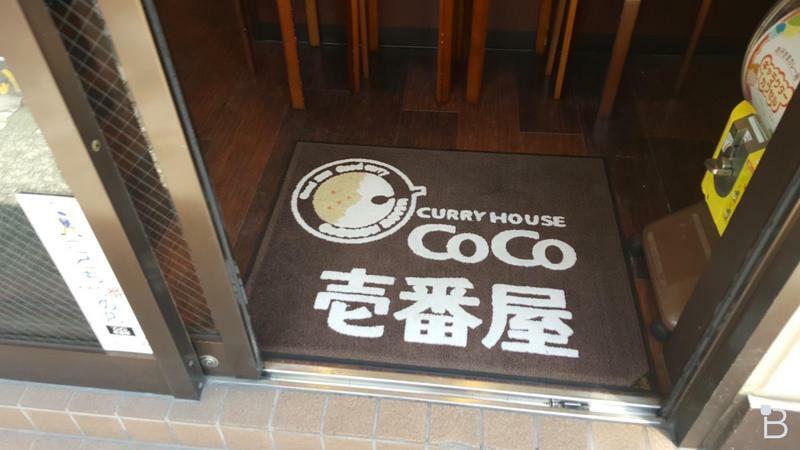 However, one major chain of curry restaurants is clearly favored over all the rest, and that is CoCo Ichibanya, a place which is often cited by travelers as their favorite fast food joint whenever they come to Japan. Traditional Japanese food too much for you? 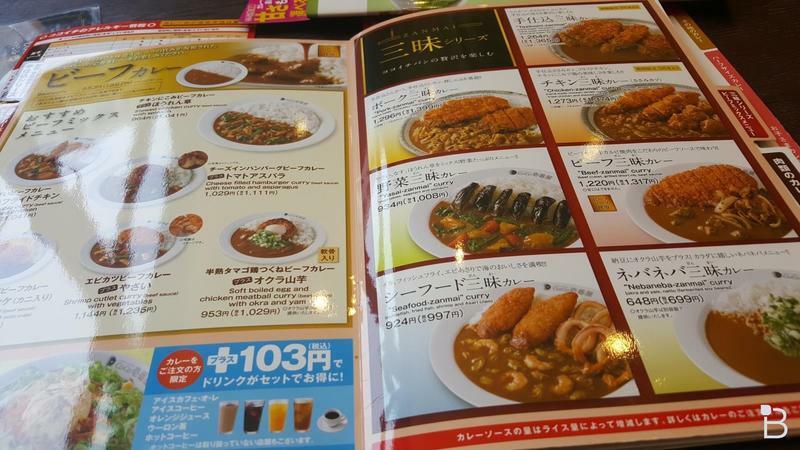 How about a hot plate of fried meat and salty, wonderful curry. That’ll perk up your American sensibilities, no problem. 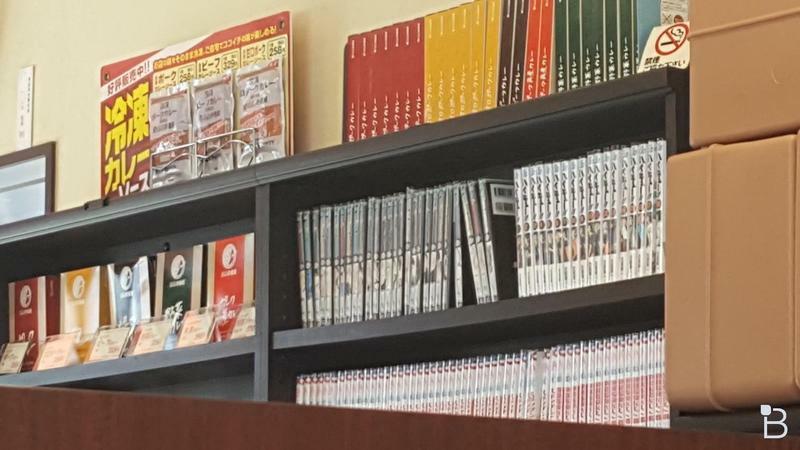 As you can see by walking in, CoCo Ichibanya also very clearly knows its demographic. 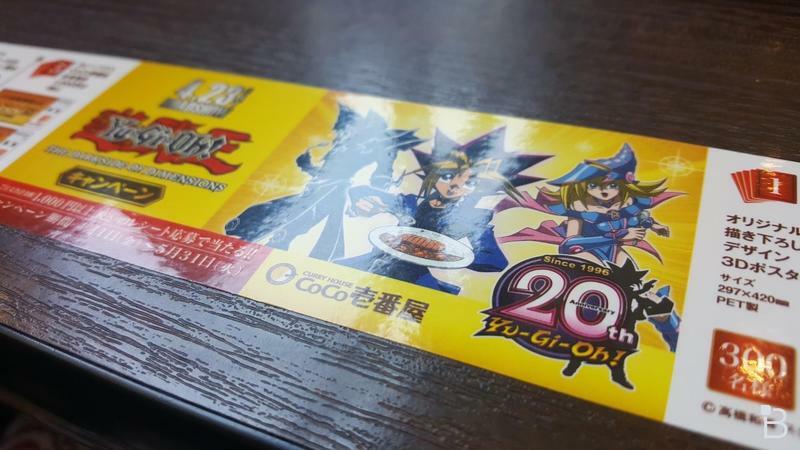 The chain is always in cahoots with one of the big manga publishers, typically Shonen Jump, and the two will always run campaigns with one another. 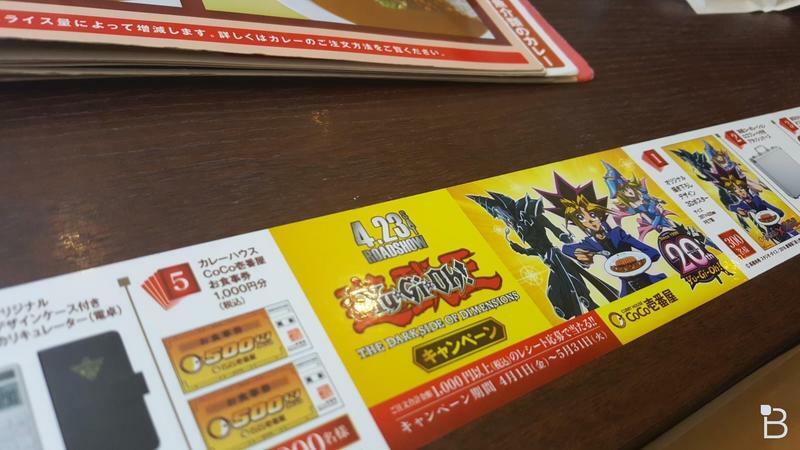 Today’s manga choice is Yu-Gi-Oh, but there have been times when I see Goku and the Dragon Ball Z gang eating curry in the advertisements as well. 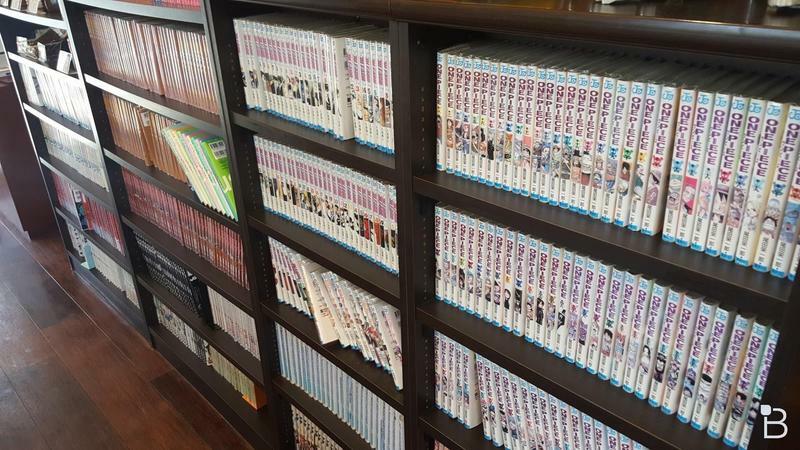 Also note the manga on the wall. At my local CoCo Ichibanya, and indeed a good many others, the restaurant fully expects people to stay for an extended amount of time. The tables are big, the booths are comfortable, and it provides a nice place to relax while on a lunch break from work. 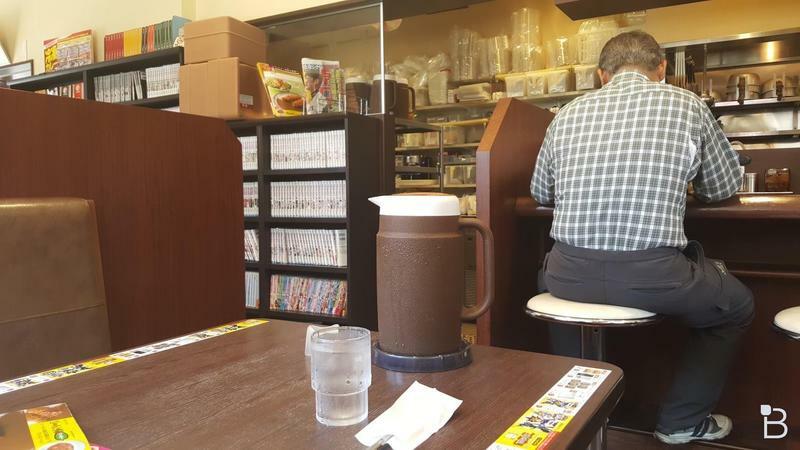 You’ll find both salarymen and groups of otaku friends hanging out here during the middle of the day. I also don’t feel a lick of shame busting out my Nintendo 3DS or PlayStation Vita and just wasting away an afternoon soaking in the wonderful smell of curry. Now, enough about the atmosphere. 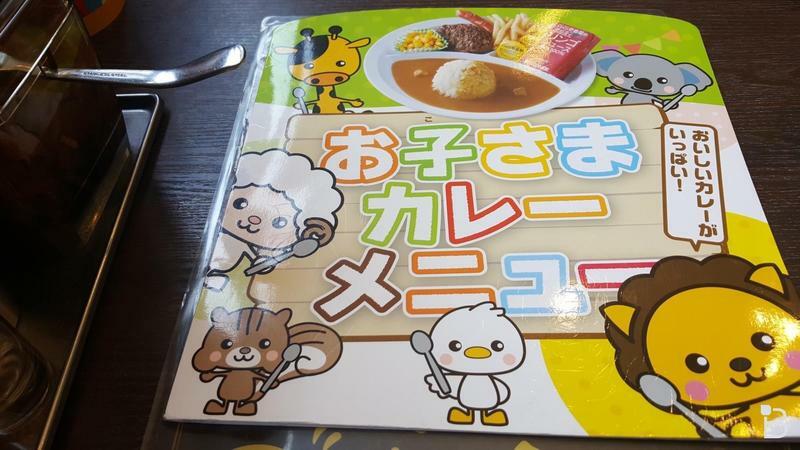 How do you eat and order Japanese curry? Well, first up, you’ll need to choose a base. Typically, these are pork and beef based, and don’t be fooled. Beef is definitely the better of the two. 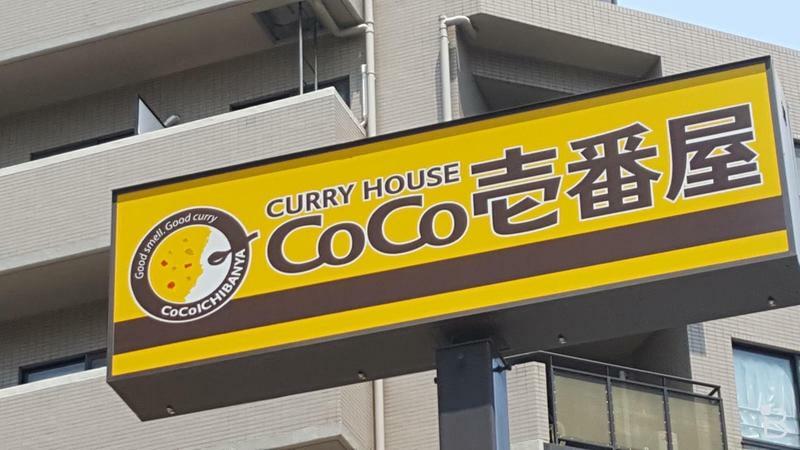 Afterwards, you’ll need a topping, and this is where CoCo Ichibanya shines. 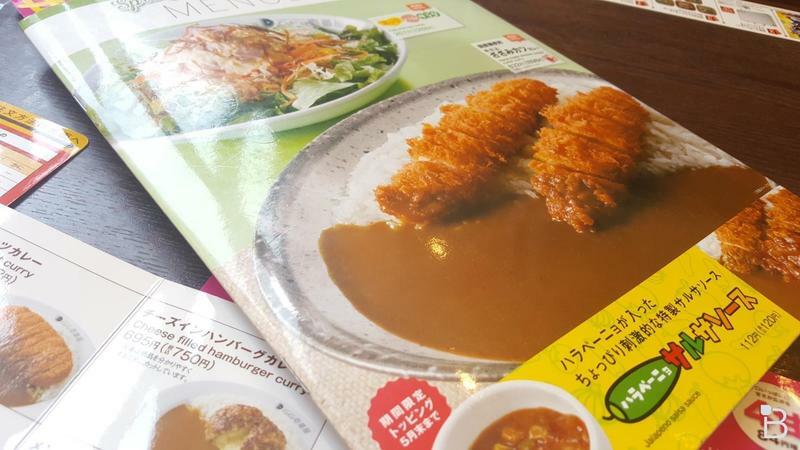 I generally go with what’s called “rosu katsu,” which is a very lean cut of pork friend in bread crumbs. Nice, easy, and it gives the curry a little crunch, too. 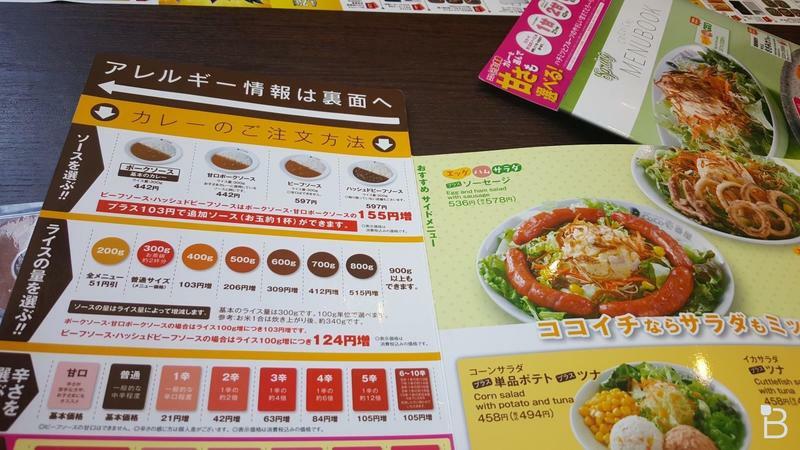 However, the menu also offers options like normal pork, chicken, eggplant, carrots, spinach, and a good many other, probably more healthy, selections. The fun doesn’t stop there! After your topping choice, you’ll be asked for a spicy level between 1 and 10, 1 being the lowest and 10 being the highest. If you don’t want any spice, the “sweet” option is also available. 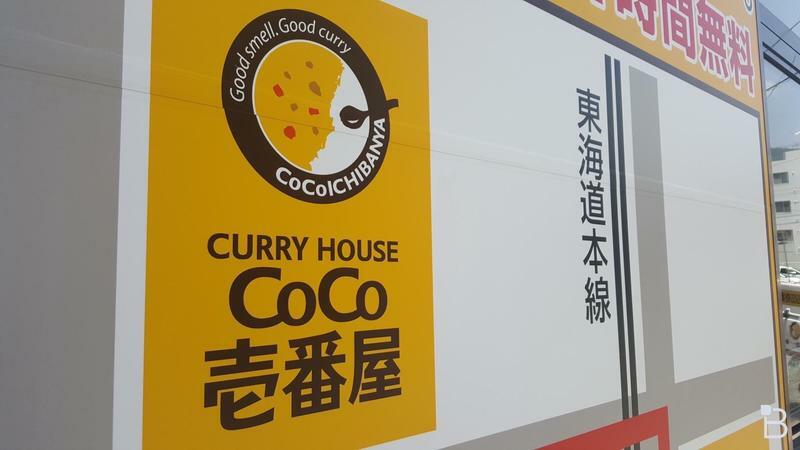 CoCo Ichibanya is obliged to warn its customers though that it won’t serve anyone a bowl of curry over 5 who has not “practiced” before, we’ll say. That is their danger point, and it is well placed. My highest achievement was 6 way back when I first came to Japan, and let’s say that it didn’t remain in my stomach for very long. It reappeared shortly later with the liter or two of water I drank to cool my mouth. Generally, I stick to about level 3 as my “happy place,” and I no longer have any urge to jump into the upper levels ever again. And finally, the last decision is how much rice you want. A typical dish comes with 300 grams, and that’s about enough. Sometimes, if I’m really hungry, I like to go a bit bigger. And it doesn’t take long for the cooks to make, either. Give it five to ten minutes, and you’ll have a steaming plate of spicy wonderful curry right in your face. CoCo Ichibanya also has special spoons that helps customers scoop more into each mouthful. Fun fact, I won one of these spoons in a drawing contest when I first moved here, and it is still my “go to” spoon whenever I eat curry at home. 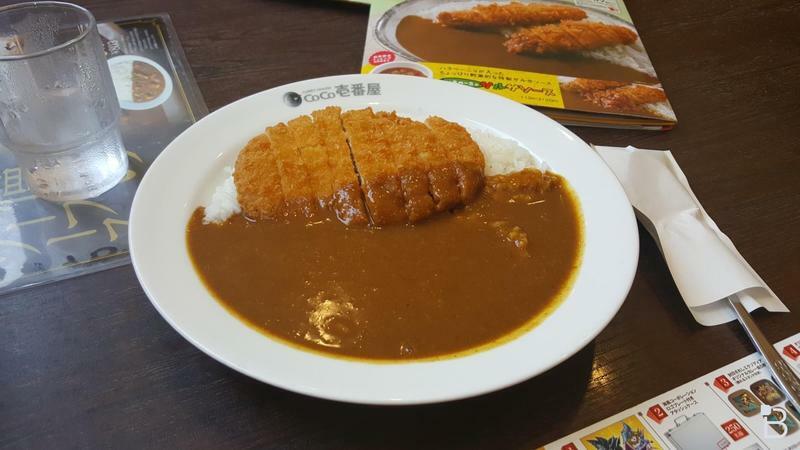 Now, there seems to be two schools of thought on how to approach a bowl of CoCo Ichibanya curry. Most of the people I see eat it just mix it all together and dig through it, but that’s never been my style. I always eat mine from right to left in a bit of an orderly manner. I don’t know how this became my method, but that’s how I always do it. I like to get a bit of variety in my bites, and sometimes I’ll eat just curry, sometimes I’ll eat just rice, sometimes I’ll mix them and toss in a bit of my fried pork as well. Mixing all the elements together doesn’t really allow for this, does it? Oh, and maybe this is just me, but beer and curry do not mix. Some people order a cold one while eating their curry, but for me, it’s the wrong kind of spicy. Afterwards, you pay, and it’s a nice and simple process. No tip, for one thing. Japan doesn’t do that. 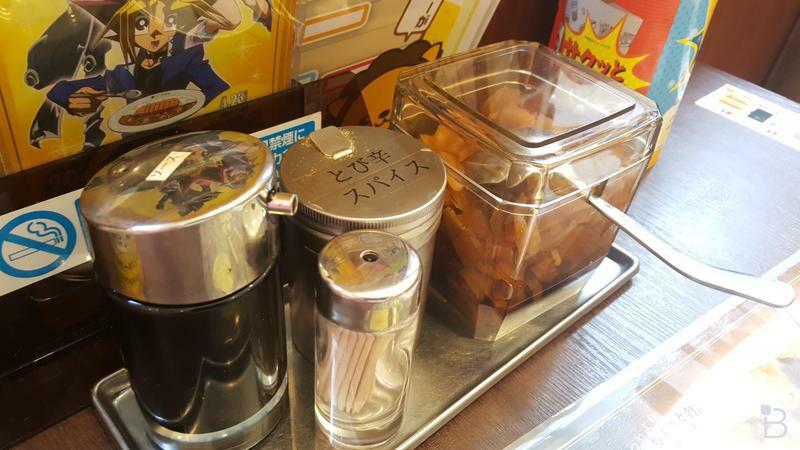 Japanese restaurants also bring you the check alongside the food, so there is no awkward moment when you need to call the waiter to get the piece of paper, put your credit card in, call the waiter back to give her the check, and then wait again to have her pay it. Nope, you take the check and go up to the register yourself! Nice and easy! That’s all there is. 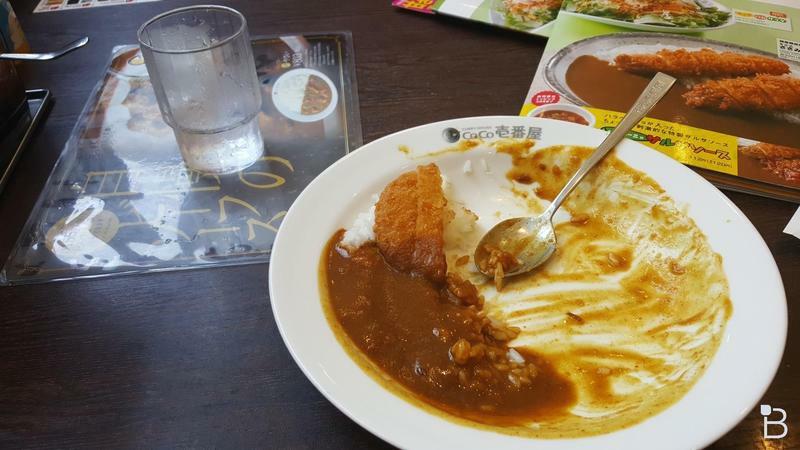 CoCo Ichibanya is a must if you ever are in a position to tour Japan, and even though its a huge chain, it’s something I wholeheartedly recommend if you need to down a nice hot meal of some authentic food.